The arrival of the holidays brings with it a whole host of considerations and things to do. According to a recent survey by Chase, eight in 10 Americans say they have holiday stress. 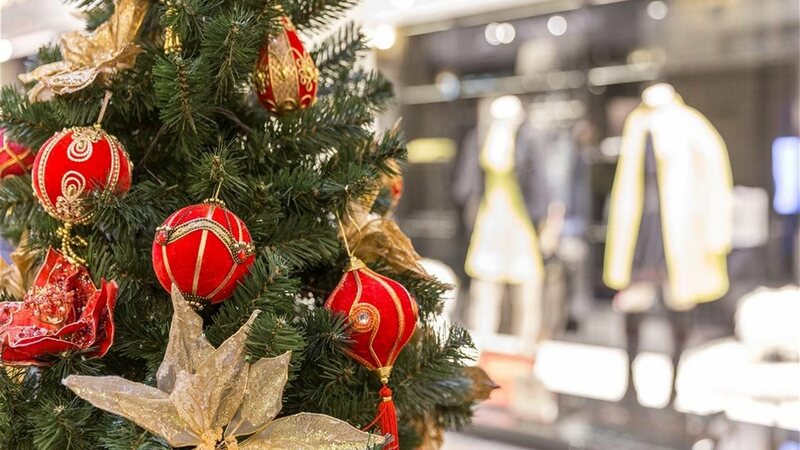 Whether you’re out to find the perfect gift, or just entertain the kids as school winds down, the common denominator is the holiday season sees Americans strapped for time and spending more money than at other times of the year. With all the season’s craziness, it can be easy to let important to-do’s slip through the cracks. With proper planning, and a credit card provider that has your back, options abound for making sound decisions even in the face of increased spending. Chase is there to make sure you have one less thing to stress about when holiday crunch time hits. Chase offers consumers options for saving money throughout the holiday season. Chase Financial Education Ambassador Farnoosh Torabi says money-conscious consumers can shop smarter, offering tips that consumers can keep in mind while they’re in-store. As many Americans look for deals and coupons after Thanksgiving, Chase provides customers convenient ways to save money right on their phones. Recent findings also show that more than half of Americans say they are gift card givers when under pressure. In that event, shoppers should keep in mind that there are several opportunities to make the most of your money by redeeming credit card rewards. Money isn’t the only concern of Americans during the holiday season — there’s time, too. As the holidays wind up and the frenetic pace of family and fun begins to set in, Americans begin looking for ways to save time so they can enjoy the things that mean the most. In fact, one-third of Americans (34 percent) say that the holidays can leave them strapped for time so they use points to get gift cards for family and friends. Between the office parties, family and friend get-togethers and rushing to stores for last-minute gifts, you may wind up forgetting something. If you leave your card behind or misplace it, Chase credit cards now have a lock/unlock feature. From your phone or computer, you can instantly block new purchases, cash advances and balance transfers the moment your card isn’t in your wallet. Check out chase.com to learn more. And if you want to check out Chase Offers, go to chase.com/chaseoffers.